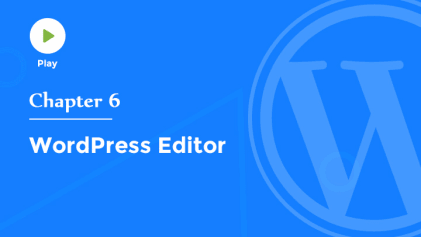 Now that you're familiar with the WordPress dashboard, you're ready to start creating and publishing your content. 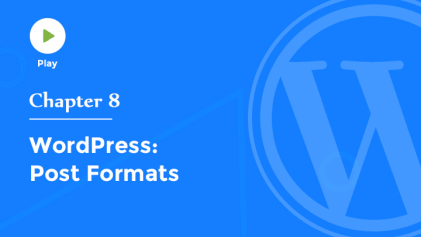 So in this video we'll take a look at the two primary forms of content supported by WordPress. Posts, and Pages. 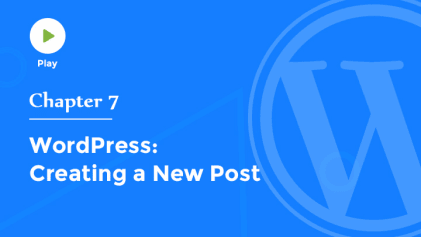 Before we begin, it's important to understand the difference between posts and pages in WordPress. To do that, let's take a look at our sample website which is using the current default theme for WordPress called 2017. This theme is ideal for creating a business site. And, when it's fully set up, it can look something like this. The homepage features a full screen header area in which you can display either an image or a video, as shown here. As we scroll down the homepage, you'll see different sections of text. And full screen background images that can further reinforce your brand.You can customize these sections on the homepage to create just about any type of website you can imagine. At the very bottom of the page, the footer area contains several widgets. Or content that you want to appear on every page. It even features a social menu which contains links to your profiles on all your favorite social networks. You'll notice as we scroll, the navigation menu stays at the top of the page.Making it easy to find the most important pages in your site. Now, you'll notice that this site includes a blog. A page that displays blog posts in chronological order with the newest article on top. Clicking the title of a blog post will enable you to read the entire article and view comments from other readers. So, posts are blog entries, or articles. And they can be assigned key words or categories, making it easy for your readers to find all the related blog posts containing the same key word or category. Pages, on the other hand, are typically used for static content. Or content that doesn't change very often. In this site, an example is the Contact Page. Another common example is the About Page you've probably seen on most sites. Pages are typically included in your sites primary navigation menu. Generally, it's a good idea to include a blog in your site's strategy. But you could also omit the blog altogether and build a website that's made up of only pages. So, as you can see, WordPress enables you to use a combination of static pages, and blog posts, to build any type of site you can imagine.